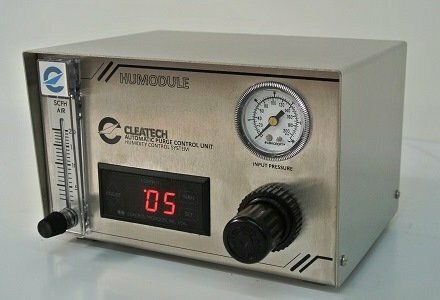 Humodule H a dehumidification system ,capable of measuring and displaying humidity in the range: 0-100%RH, Accurately controls and maintains the RH% on a set point between 0%RH to ambient level (+/- 3% RH) , required compressed dry air or inert gas. Type S: It’s a single purge unit, it keeps the humidity of enclosure on the set point by purging Nitrogen when the moisture climbs above an adjustable set point. The Nitrogen flow is stopped by a solenoid valve, when the humidity is lower than set point. 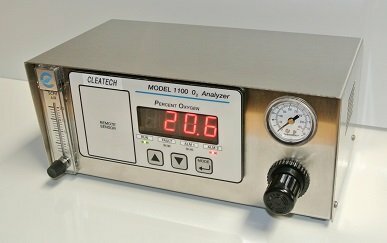 The input pressure is controlled by the pressure regulator (0 – 30 psi), and the output flow rate by the Flowmeter (0 – 20 SCFH). Type D: It is a dual purge unit. 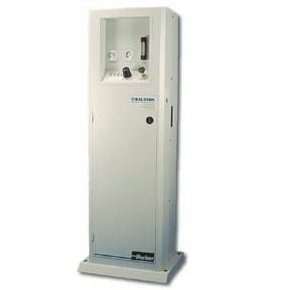 While inside related humidity level is below set point, the system provides low purge (2-20 Cubic feet per hour) inert gas maintaining positive pressure inside the enclosure in order to have free contaminants and moisture environment. When the moisture climbs above an adjustable set point the system automatically activates high-flow purge (0.5 -30 PSI).